The Construction Department is responsible for enforcing the regulations of the State Uniform Construction Code, which was established by the State of New Jersey, to insure that new construction (commercial, industrial, and residential) adheres to minimum standards of workmanship and safety. The Inspectors review structural construction, plumbing, heating and air conditioning, and electrical work prior to the issuance of a certificate of occupancy to insure compliance with the State Uniform Construction Code. For more information, please call 973-398-6832 x 114. A Certificate of Habitability is required prior to the sale or change in tenant of a rental property for all residential properties to confirm compliance with the Borough’s Zoning, Property Maintenance and Construction Codes. So as not to halt the sale of a property a certificate is always issued following the inspection. In the event that violations of the Borough’s Zoning, Property Maintenance, or Construction Codes are identified during an inspection the existence of the violations will be noted in the Certificate; a notice that the Buyer will be held responsible to abate/correct such violations once the sale is completed will also be included. It is therefore, strongly recommended that a Certificate of Habitability be applied for no less than 30 days in advance of the sale of a property. The contact person for the permits and certificates listed above is Kathy Appleby. Kathy is also the Land Use Board Secretary. She can be reached in person at the DPW Office Building, 1 Altenbrand Ave., by appointment by calling the Construction Office at 973-398-6832 ext. 114. You may also pick up Construction Applications for building permits or Land Use Board applications for variances at the above address anytime, Monday through Friday 7:30 a.m. – 12:00 p.m. and 1:00 p.m. to 3:30 p.m. Offices are closed between 1:00 p.m. and 2:00 p.m. each weekday. 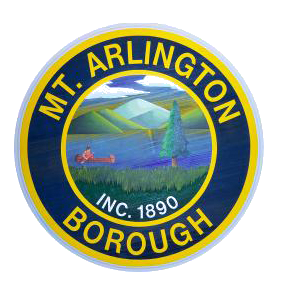 Borough hall will be open until 7:30 p.m. the 2nd Thursday of each month and we will closed at 12:30 p.m. the following Friday of each month. A call to the Construction Department and the Zoning Officer is an important step, even when planning minor improvements. Regardless of the size and location of the proposed installation, residents should become familiar with the zoning, construction code and permit requirements before installing fencing, retaining walls, a garden shed or a swimming pool. In general all improvements require zoning review before work may begin even if the project is exempt from construction permit requirements. The Construction Office is located at the DPW / Recycling Center, 1 Altenbrand Ave. Mount Arlington, NJ 07856. Have a question? We’re glad to help!